Nyané Lebajoa is an international influencer, content creator, model, entrepreneur and designer. Born in the UK, Nyané has spent her childhood in her parents’ country of origin Lesotho (Southern Africa) and her adolescence in Wales and Southampton. She has since lived in Berlin (2016 - 2018) with partner and in house manager and photographer and is currently based in their home of choice, Amsterdam. 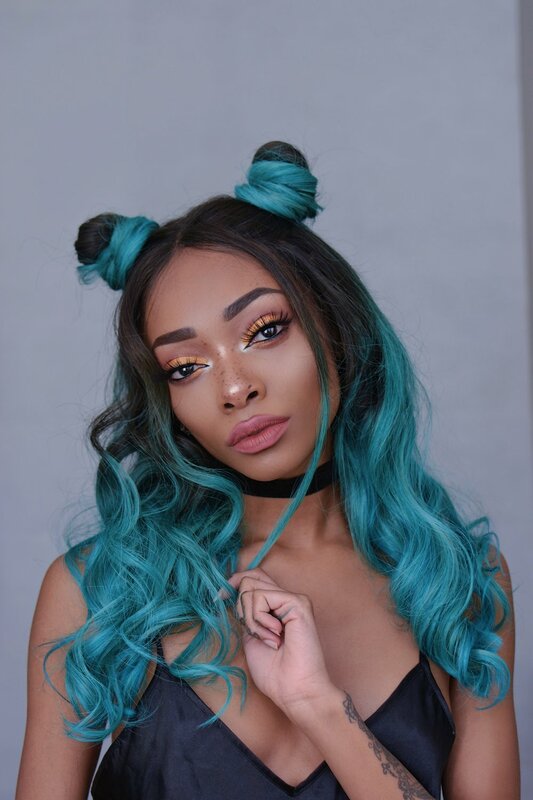 Instagram being Nyané’s main channel, her online audience has grown to over 1.2M followers across all platforms and territories. Her largest follower segments are from the US, UK, Russia, South Africa and Brazil. She has been booked for numerous photoshoots and Instagram endorsement collaborations. Nyané’s influence has also allowed her to start her own brands and design her own clothing and beauty products. Further more she has worked on multiple content creation projects providing brands with full service content production including concept, production and post production of the content. Nyané has been a portrait and hair model since the age of 14 and continues to model for beauty, hair and fashion brands on a regular basis. Nyané has worked on content production projects for several brands including her own. For the majority of these projects she acted as creative director, model, make up and hair artist, stylist and retoucher. Nyané’s most prolific and continuous line of work has been her instagram profile @nyane for the past 4 years. She has strategically and organically grown her following from around 100k at the beginning of 2015 to 1M followers by the end of 2018. Applying data gathered from various analytics services such as iconosquare, social blade and instagrams own insights, Nyané has successfully managed to both increasingly engage her existing followers and grow her followers and reach. Additionally, carefully picked collaborations and endorsements have helped maximise the accounts reach. 2018 being the most progressive year yet, Nyané’s average engagement rate has increased from 3% in 2017 to over 5,2% in late 2018 and the average likes received have grown from 25k in 2017 to over 43k in late 2018. Nyané’s rapid growth, her outstanding engagement rates and exceptional content quality have brought her endorsement collaborations with fashion brands such as Revolve, Puma, Nike, Missguided and Pretty Little Thing. Nyané’s specialty and most popular and engaging content are her beauty shots. She has discovered her and her followers’ common interest in 2016 and has been building on it since, increasingly making beauty and hair related content one of the main themes for her feed for over 2 years now. This particular feature of her Instagram has brought her collaboration bookings with beauty brands such as NYX, Smashbox, N.A.R.S., Illamasqua, Inc.Redible, KISS to name a few. 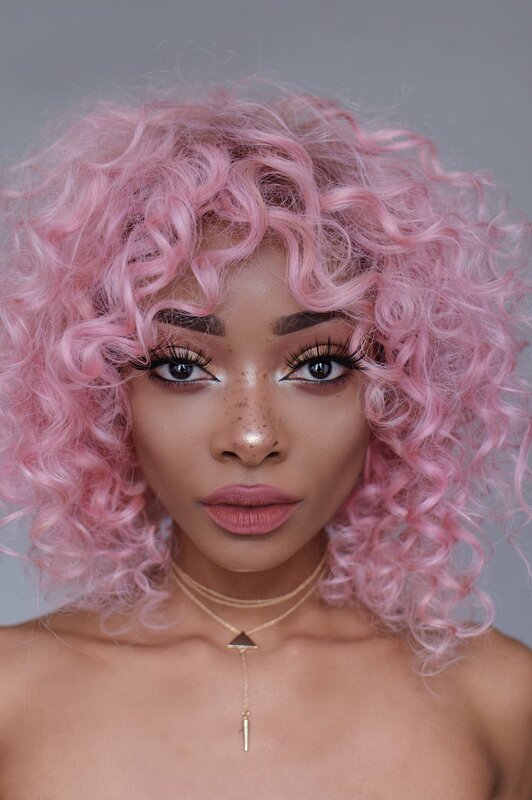 Nyané’s beauty content does not only rely on Selfie style beauty shots, her videos are popular, not only for beauty! While Nyané does not run her YouTube Account as one of her regular channels, she does produce long form YouTube Videos on demand for both her own channel and to provide for brand use. Nyané’s specialisation on beauty and hair has allowed her to be the face, creative director, designer and driving force behind the wig brand Mood. Driving sales almost entirely through her instagram account @nyane and building the following of the brand instagram account to over 38k within the first 6 months. Due to disagreement on the brand direction Nyané has decided to part ways with Mood and is currently working on a new brand, entirely directed and owned by Nyané. In the less recent past, namely 2017, Nyané has released her fist self-titled fashion collection Nyané®. She has designed all pieces from scratch, starting with sketches, sewing prototype samples, finalising production samples labels etc. While this was a one-time collaborative effort alongside a German textiles agency, Nyané is set to start work on a new collection in 2019 to be released in 2020. As with her hair brand, Nyané will be taking full control of her fashion brand in the future. Nyané’s most recent design work has been a collaborative Lingerie Set with renowned lingerie brand Bluebella. In order to create the piece, Nyané has completed an extended designing session with Bluebella’s Owner Emily Bendell and designers to outline the initial theme of the set. The rest was done via email and post, after sending back and forth several drafts and ideas, the piece finally came to life in 2018. Due to its wide success Bluebella has also decided to release the piece in an additional color. She has been invited to and participated in numerous influencer brand trips including Revolve (#RevolveFestival, Coachella, 2018, #RevolveSummer, Bermuda, 2018, #RevolveAwards, Las Vegas, 2018), Tarte Cosmetics (#PuraVida, Costa Rica, 2018).